Braid headbands are custom-made to order in your and any hair color. 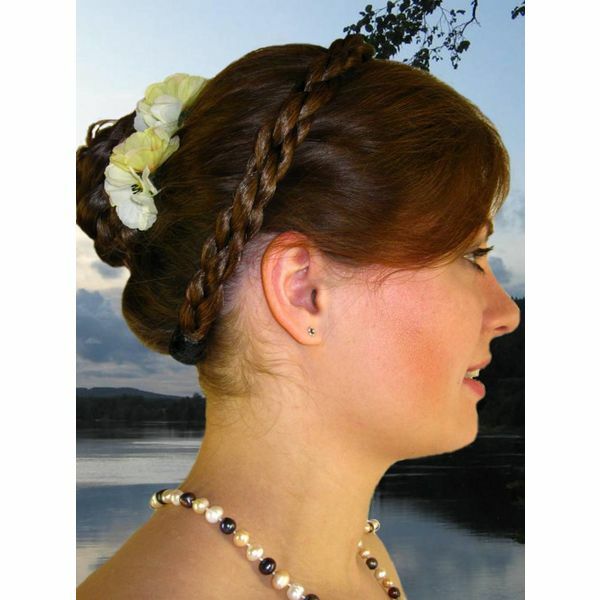 Wider hairband tiaras come with our slip stop to guarantee safe hold. 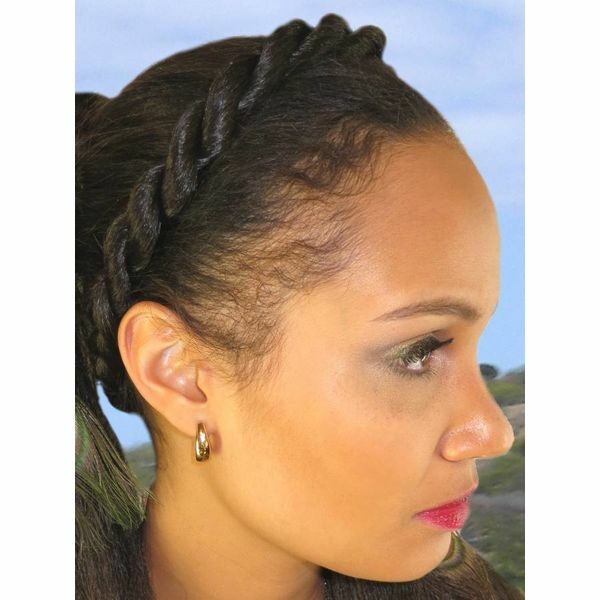 Our headband hair pieces look amazingly real, because we use kanekalon hair, highest quality in synthetic hair! 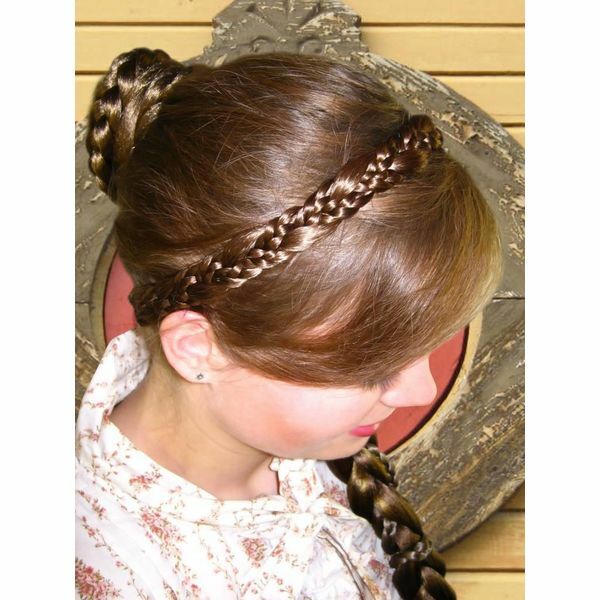 How are braid headbands by Magic Tribal Hair special? 1. 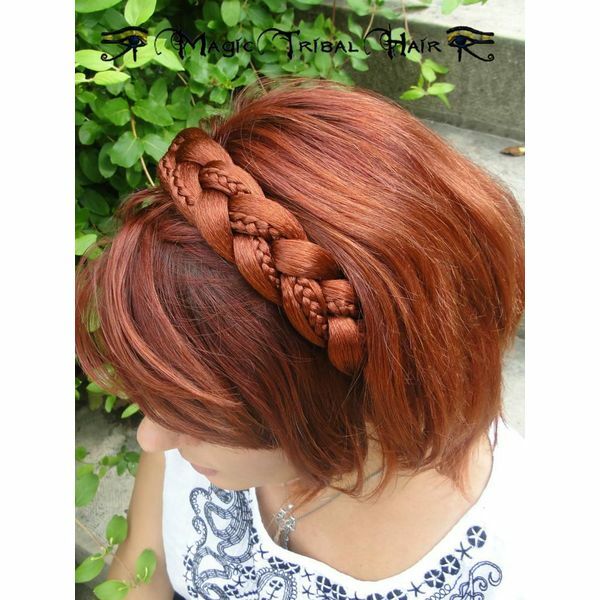 We custom-match our braid headbands to your and any hair color! 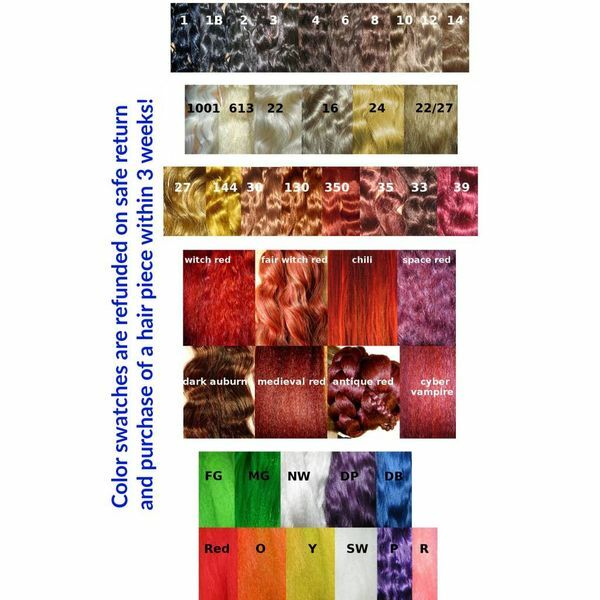 We can match all hair colors perfectly including highlights, lowlights and all shades, because all braided headband hair pieces are made to order exclusively! We can match all hair colors! 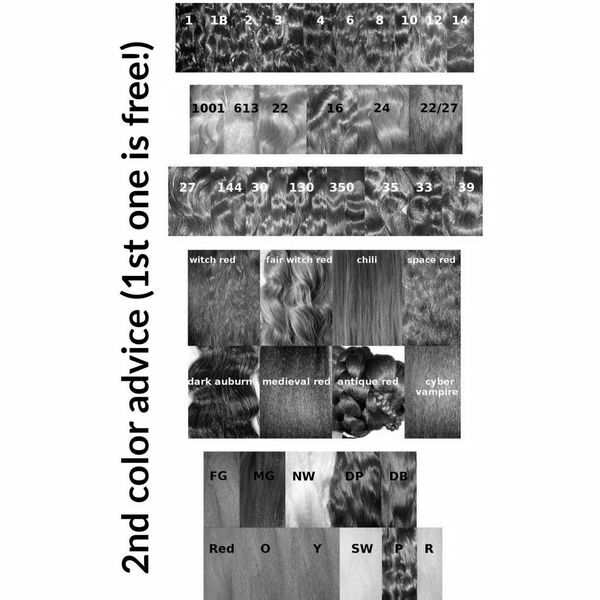 Are you a readhead and cannot find a hair piece anywhere? Is your hair completely grey or do you have first grey hairs and accents? 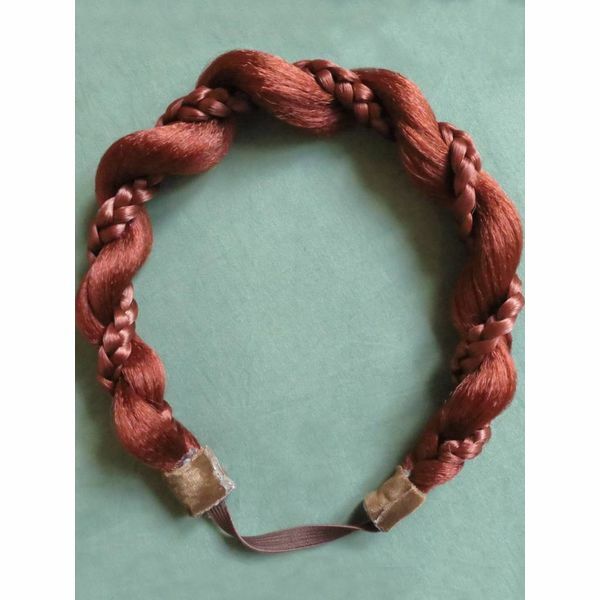 No problem, we can indeed match all hair colors in our braided hairbands! All headband prices include a custom mix of up to 3 basic colors, a fourth or fifth color can be added at extra costs. 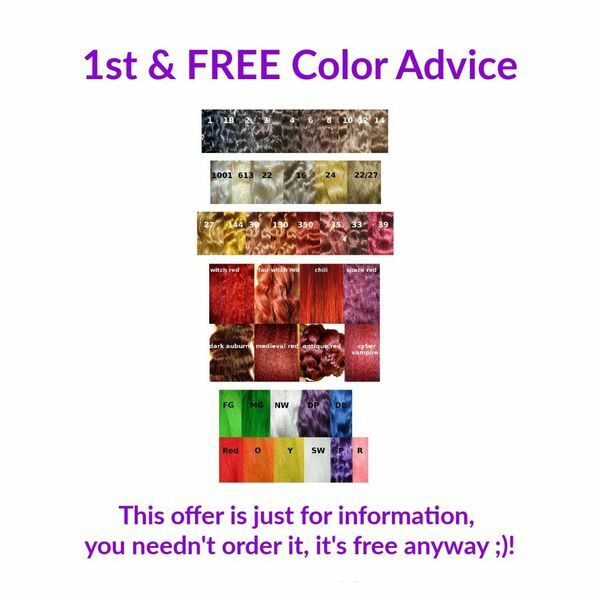 Naturally you are free to pick colors like purple, red, green and more as well; your hair crown can come in a contrasting color or with colorful highlights to match your outfit, too. 2. Our braid headbands fit every head! 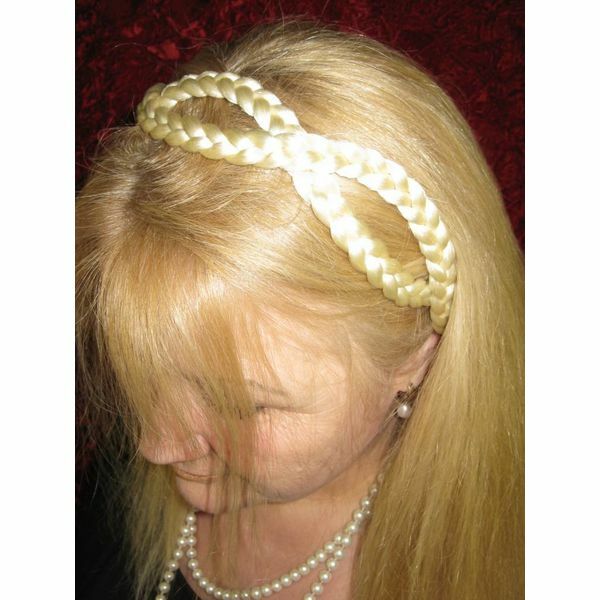 Each braided headband tiara comes with a generous elastic part, so it will not be too small. This is very important, because headbands that are too tight, tend to slip to the back of your head. 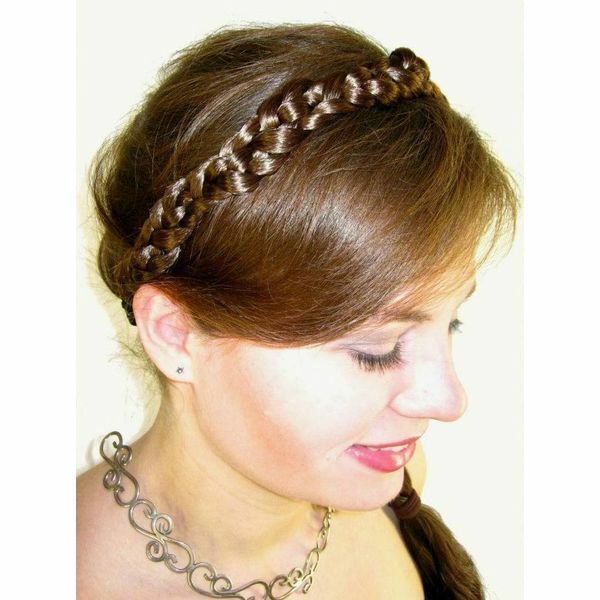 Many women think it's the shape of their head which makes the braid headband unable to stay in place but in most cases, only the fit is too tight. If the hair crown might come too big for your head, you can simply and quickly sew it's elastic part smaller by hand with a few stitches. 3. 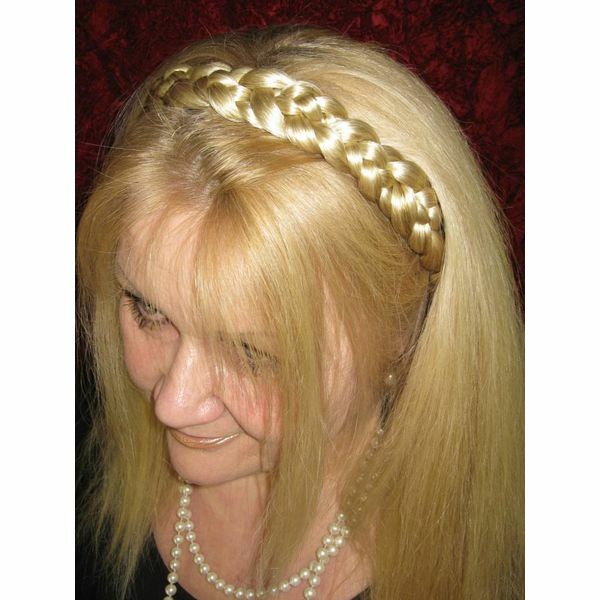 Long-lasting braids and safe hold due to slip stop on the inside! 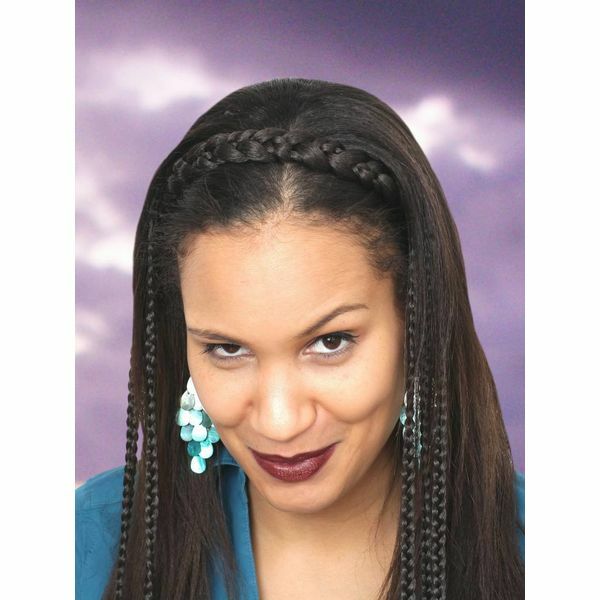 All wider/larger braid headbands by Magic Tribal Hair come have our slip stop which resembles the one of hold-up stockings or strapless bras. 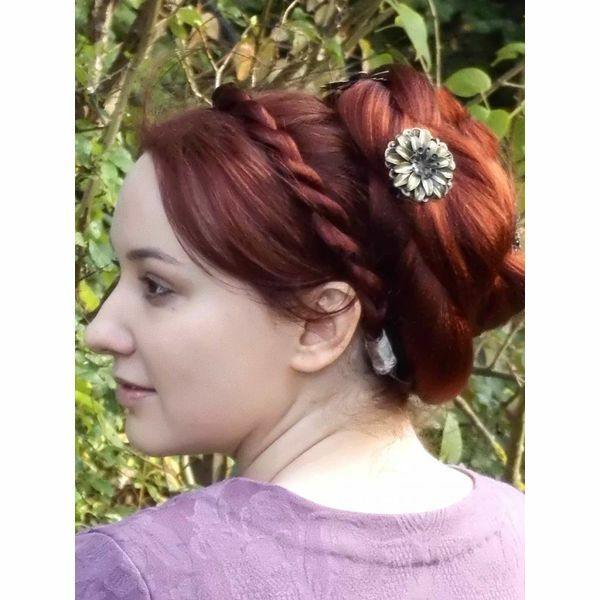 The slip stop provides high wearing comfort, because it makes the braided tiara stay in place. 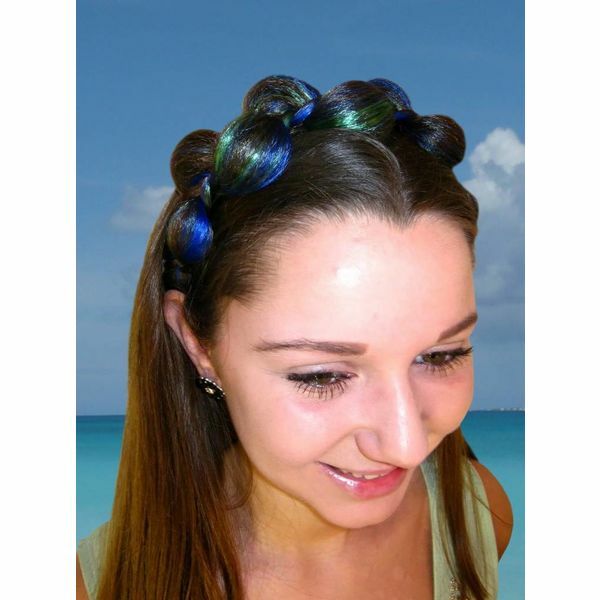 Moreover it helps making your hair piece a long life item, because the friction when putting hairbands on and off would pull out too much hair too quickly without any supportive layer, especially on thicker/ wider headbands. 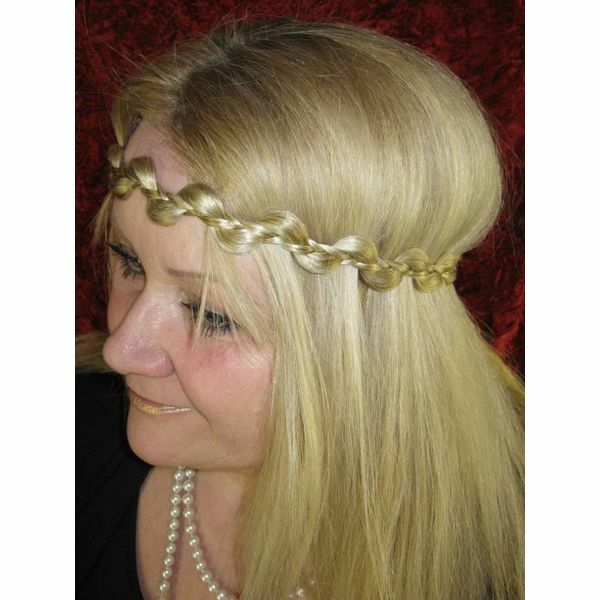 Naturally the slip stop cannot be seen when you wear your braided hair crown - we apply it only to the inside! 4. There is a matching ponytail braid to nearly every headband braid! 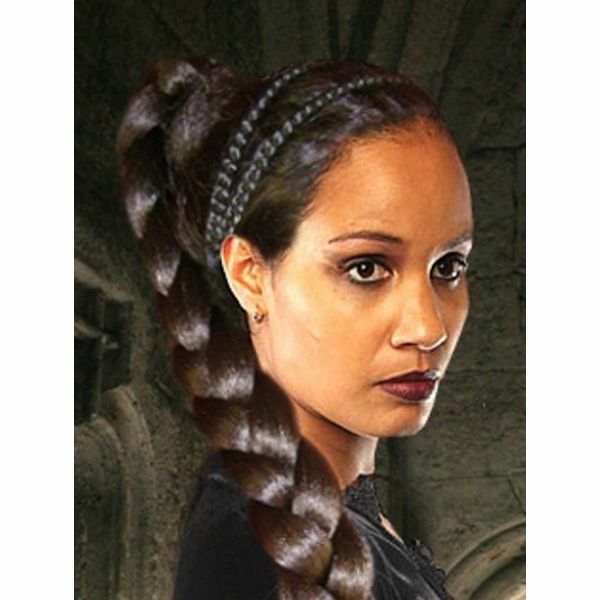 Many customers would like a complete hair piece set of braid hair extension and headband braid - you find the best matches for each headband model in "related items" at the end of the item description (only for desktop and laptop devices, if you are on a phone, note the name of respective headband (e.g. 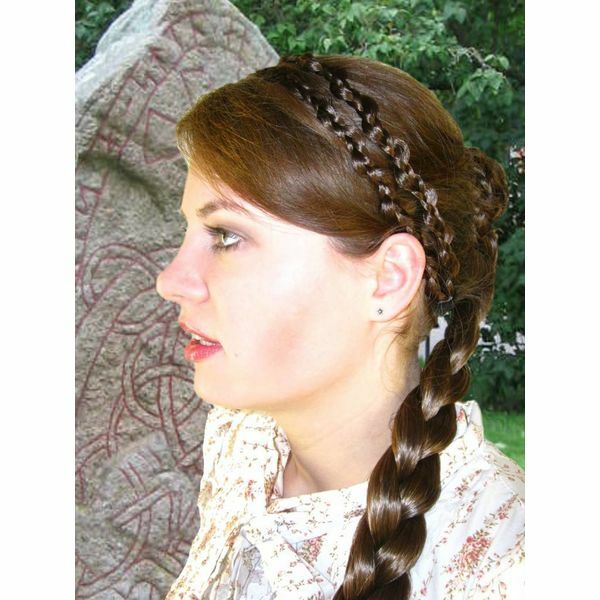 Snow White, Rapunzel, Fantasy Braid) and check the braid shop sections for a braid with the same name! 5. We exclusively use kanekalon hair - best quality in synthetic hair! Kanekalon hair has a real touch feeling, a natural shine and is very carefree. 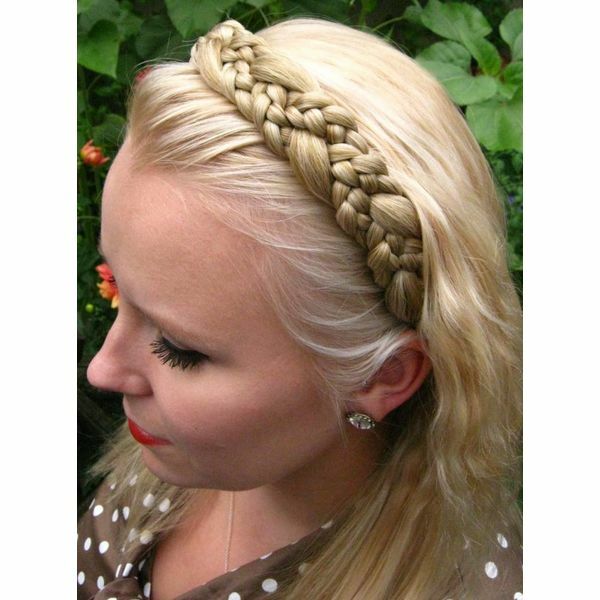 This means you will get a long-lasting braided hairband with natural look. People usually don't unmask our headbands as hair pieces; even most of your friends will think that you've discovered new skillful styling techniques and braided your hair crown from your own, long hair!